A Palatable and readily absorbable high· calcium supplement. Each 5 ml contains 1.2 g Calcium glubionate equivalentto 78 mg elemental calcium. absorbable calcium salt which allows an adequate calcium supply. 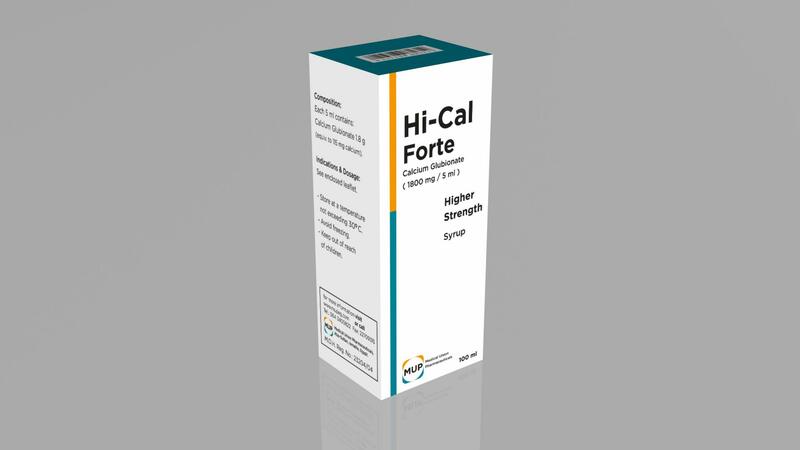 Hi-Cal syrup is used for prevention and therapy of calcium deficiency states and disturbed bone metabolism, in children and adults. – Pre and postmenopausal females. – Osleoporosis of various aetiology e.g. postmenopausal, senile and corticosteriod-induced. – Latent tetany and related neuromuscular disorders resulting from hypocalcaemia. 3- Supportive treatment: In allergic conditions. – Hypersensitivity to any ofthe components of Hi-Gal Syrup. -Patients with renal calculi, severe renal failure, galactosaemia orwith lactase deficiency. Hi-Cal (calcium glubionate) syrup is exceptionally well tolerated. However mild GIT symptoms such as anorexia, nausea, vomiting, constipation, abdominal pain dryness of mouth, thirst or polyurea may rarely occur. -Calcium enhances the effect of digitalis glycoside on the heart and may precipitate digitalis toxicity. -Calcium salts reduce the absorption of a number of other drugs such as fluoride preparations, fluoroquinolones ortetracyclines, so administration should be separated by at least 3 hours. -Thiazide diuretics may increase the renal reabsorption of calcium, thereby increase its level in blood. – Upto 3 years: 1 -2 teaspoonfuls (5-10 ml) 1 – 3 times daily. – More than 3 years: 1 tablespoonful (15 ml) 1 – 3 times daily. -Adults: 1 tablespoonful (15ml) 1-3timesdaily. – Pregnant and lactating: 2 tablespoonfuls (30 ml) 1 – 3 times daily. • Postmenopausal females: 2 tablespoonfuls (30 ml) 1 – 3 times daily. 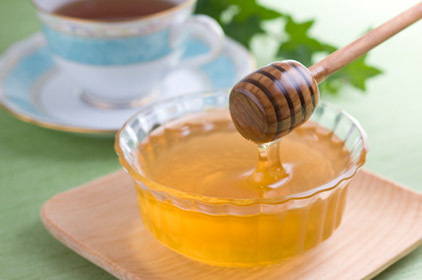 -Elderly: 2 tablespoonfuls (30 ml) 1 – 3 times daily. • Treatment dose is individualized by prescriber based on severity of deficiency.